Established in 1976, GoldenCare (also known as National Independent Brokers, Inc.) is among the nation’s leading privately-held long-term care insurance brokerages and a recognized leader in the senior market. All of our products are hand-selected from top-rated carriers in our industry. GoldenCare has been involved in the development of numerous long-term care policies and services tailored to meet to the unique needs of today’s Americans. We also specialize in other products such as Critical Care Insurance, Life/LTC Hybrid Insurance Plans, Medicare Supplements, Medicare Advantage Plans, Prescription Drug Coverage, Life Insurance, Annuities and Identity Theft Protection. GoldenCare recently launched an innovative long-term care policy that effectively addresses the progression of care. The policy offers “The Best Both Worlds.” Monthly cash benefits are paid when home care is provided by spouse, friends or family. There is No Elimination Period and No Bills To Submit. As the need for care progresses, traditional reimbursement benefits are paid for Basic and Professional Home Care Services, Assisted Living and Nursing Home Care. GoldenCare and its western counterpart, American Independent Marketing have a nationwide fleet of agents, operate in all 50 states, and have written over $750 million in annualized premium. As an independent agency representing many top-rated carriers, GoldenCare can offer you a plan to meet your exact needs and budget requirements. 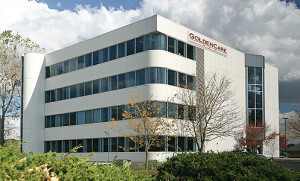 GoldenCare USA confidently looks forward to continued innovation and exceptional growth. Our mission is to provide quality long-term care solutions and insurance protection to both agents and consumers at the lowest possible cost, with the highest level of service. As specialists in the long-term care industry, we make it our priority to educate and inform you with the information you need in order to help you make the right decision when planning for you and your family’s future care needs. In order to provide you with the insurance options that fit your needs and budget best, GoldenCare represents the leading carriers in the Long-Term Care Insurance industry, as well as, Critical Care, Critical Illness, Medicare Advantage and Medicare Supplements, Prescription Drug Plans, Life Insurance, Life/LTC Hybrids, Annuities and Identity-Theft Protection.